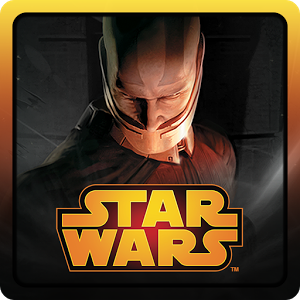 One of the best games ever made by BioWare, Star Wars: Knights of the Old Republic, landed on the Google Play store at the end of last year. The RPG is a complete and faithful port of the original KOTOR (its nickname among fans) which launched back in 2003 on PCs and consoles. As good as the game is, $10 may have seemed a little steep to some of you for a title that is over a decade old. What's this? A licensed Star Wars game on Android that people actually want? Believe it or not, the fan-favorite Knights of the Old Republic just crash-landed into the Play Store out of nowhere. You can grab it for your Android 4.1+ device for five bucks right now. That's a 50% discounted price, at least according to the app description. Compatibility seems a little spotty, too: it's downloadable with most of my Nexus and SHIELD devices, but not my G Pad 8.3 GPE tablet.